Home - Fox Valley Truck & Body INC.
Fox Valley Truck & Body is a family run business for over 30 years. We take pride in our work and have a great reputation for doing the highest quality work. We have many long term employee's that have been here 20-30 years, giving you the quality and service you deserve. 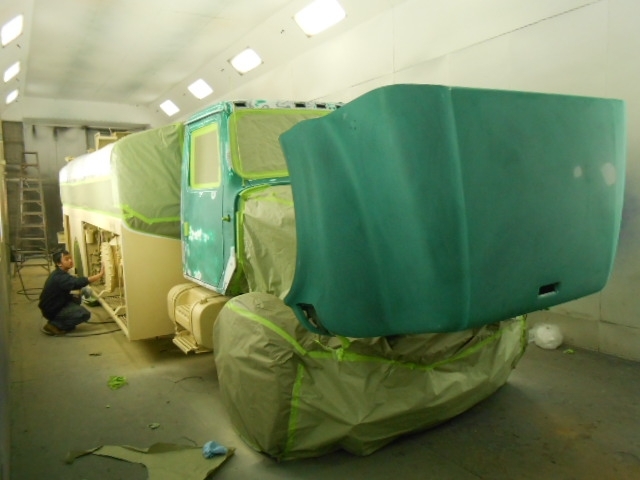 We are the heavy duty truck and trailer collision repair service in the Midwest. We provide many services for whatever you need, including Truck and Trailer Repair and alignments. We offer free local pickup and delivery for repaired trucks & trailers, and can handle claims with your insurance company. Open from 8am to 4:30pm Weekdays! Call us Today at (920) 336-3667! Contact our Truck and Trailer professionals today for more information.